It was announced in HKT48 member Moriyasu Madoka's Google+, HKT48 and Mix Channel will have a collaborative project: DIVA Audition for Moriyasu Madoka's Piano Album production. The audition is seeking a vocalist for the song "Sukitte kotowa..." in her first solo piano album, the application period will be from 17 to 24 October 2016. 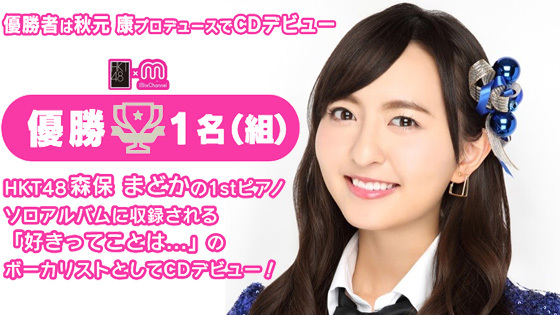 The Prize is CD debut which produced by Akimoto Yasushi, and the song will be included in the solo album. 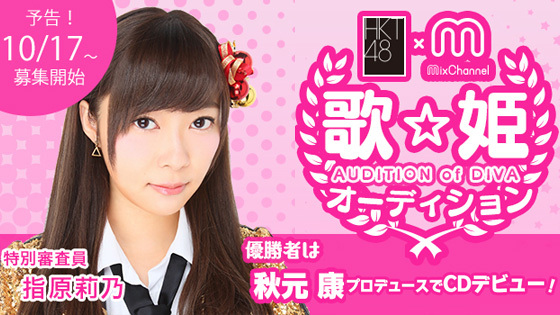 HKT48 member Sashihara Rino will be a special judge of the audition.